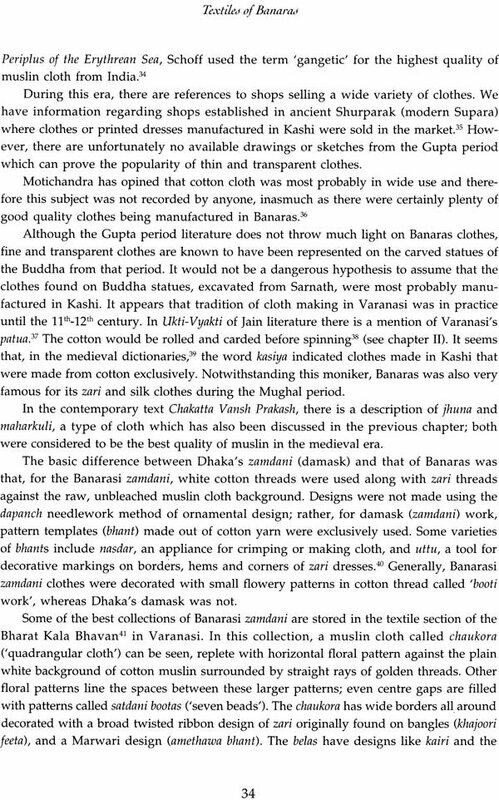 Banaras usually known as a religious and cultural centre is also famous since antiquity for its textile industry. 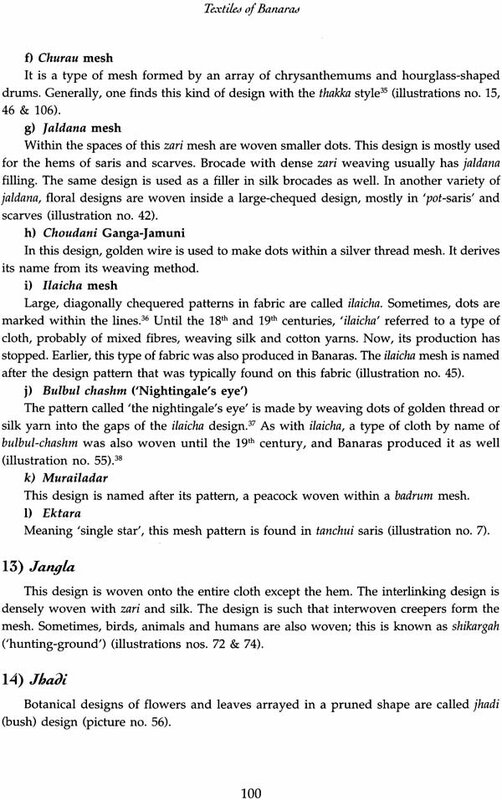 Banaras textiles and the designs produce there were sole throughout India and exported to many foreign countries. 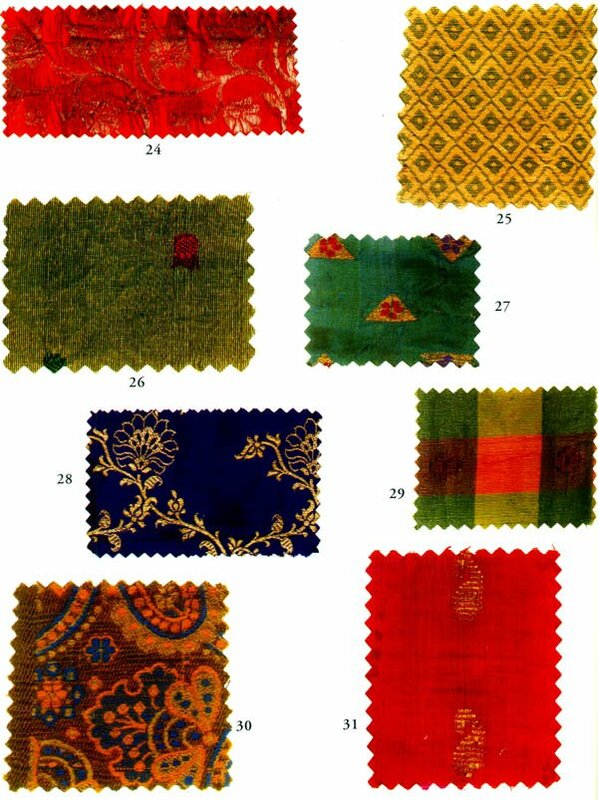 The Buddha was shrouded in a fine Banaras cloth and kings and queens all over India used to dress with its more exquisite brocades. 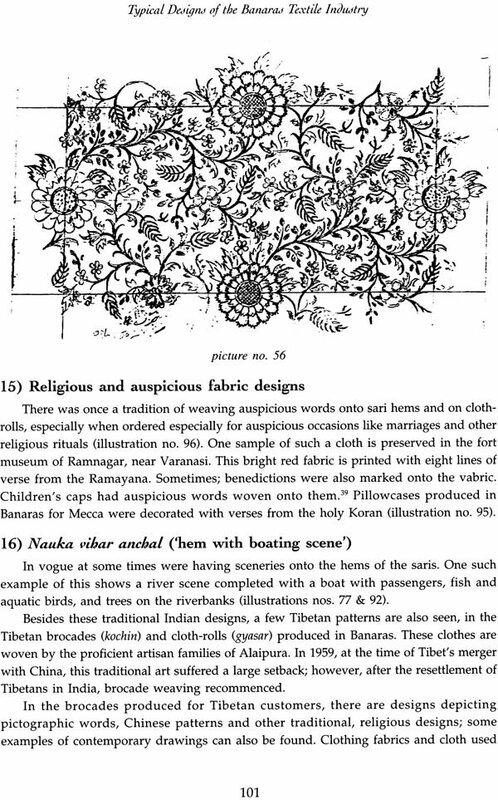 All foreign visitors to the city commented on this textile art in which Banaras traditionally excelled. 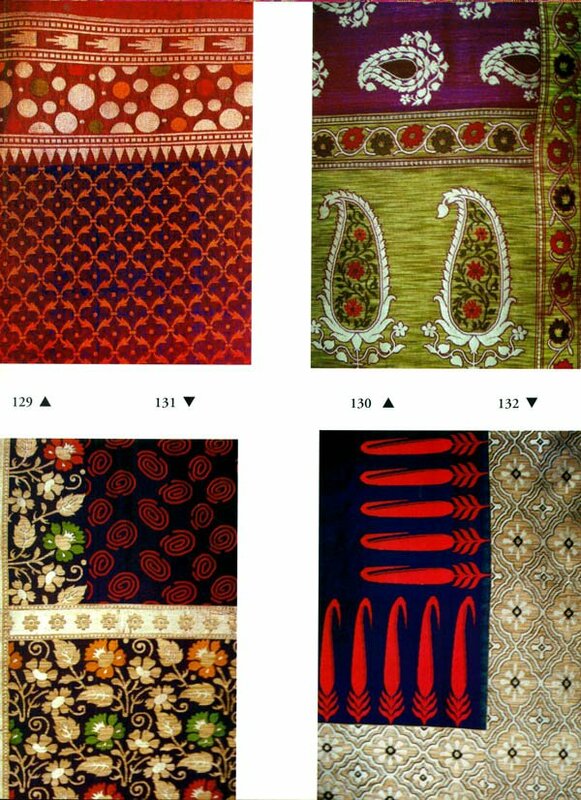 Textiles of Banaras yesterday and today is the product of a deep research on this textile industry since the distant past up to our times. 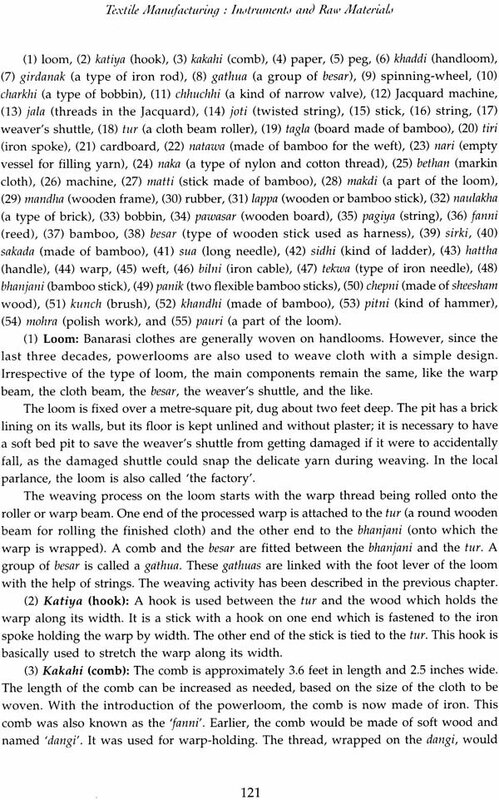 The book explains in detail the different designs used and their conceptions the various types of cloth weaving and the techniques employed (making of the threads dyeing, stretching the warp polishing tools used etc) and handicrafts such as embroideries (karchohi zardozi etc). 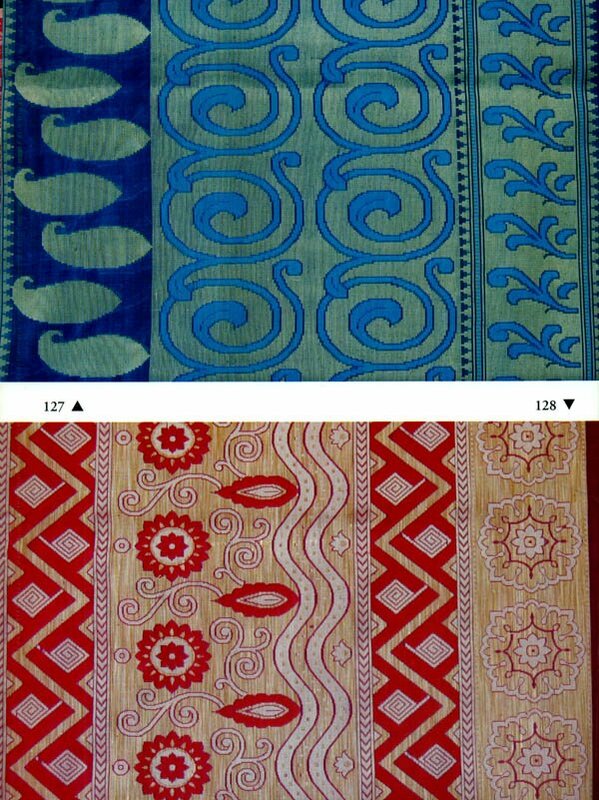 It also studies the social economic condition of the artisans. 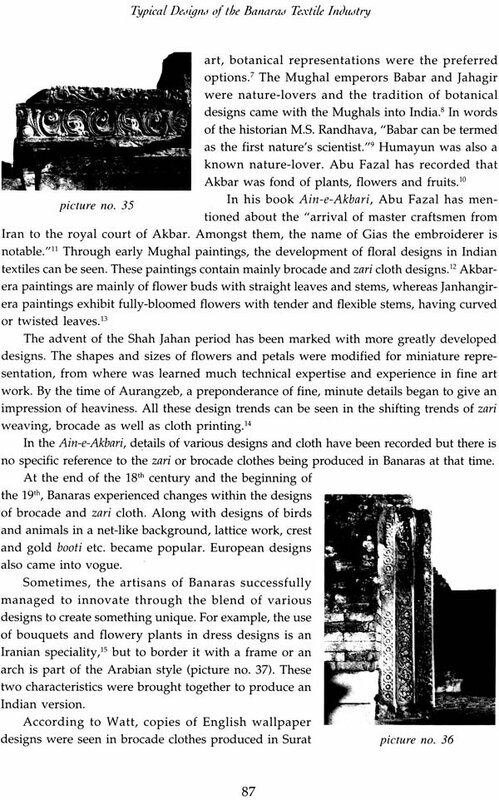 Illustrated with many color and black and white pictures showing old and new designs this book is the more complete book on this subject up to date and will be invaluable for researchers designers and art lovers. 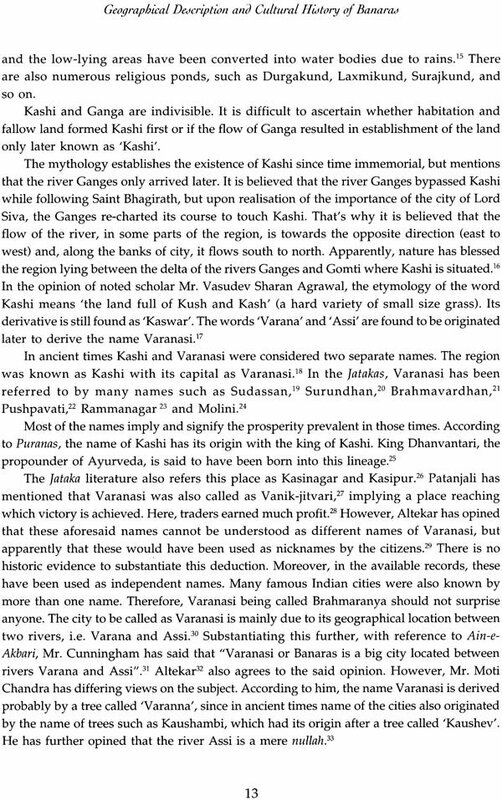 In the ancient Vedas and Puranas Kashi or Banaras finds its origin as a place or abode of Lord Shiva with its base on lord Shiva’s trident. 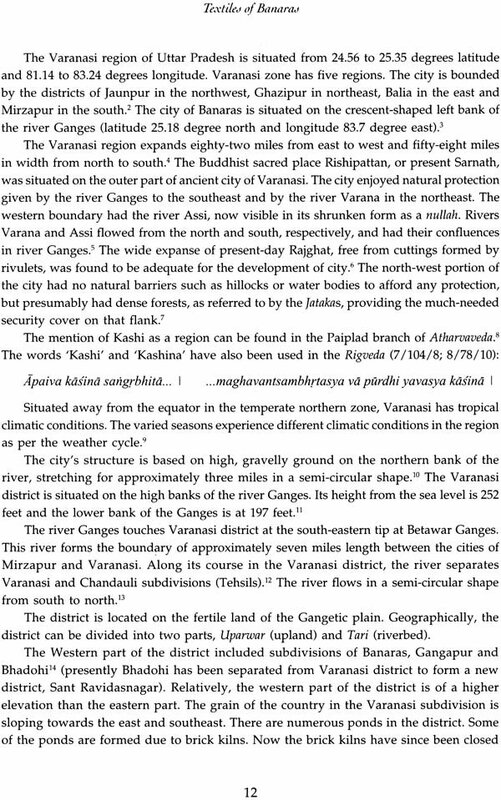 It is believed that this place was ruled by the famous king Divodas and the like Dhanvantri the propounder of Ayurveda is also believed to have his roots in Kashi. 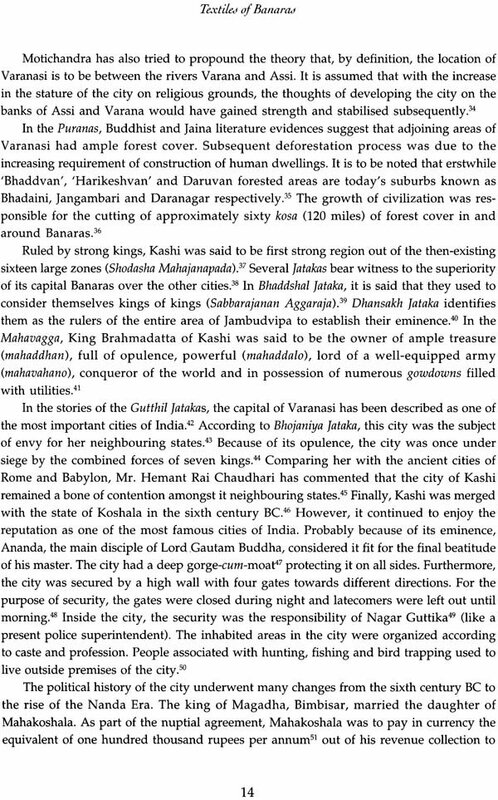 There is no authentic account of the initial history of Banaras available but the recorded history establishes Kashi as a pioneering place and centre for religion philosophy trade art and culture by the time of Lord Gautam Buddha. 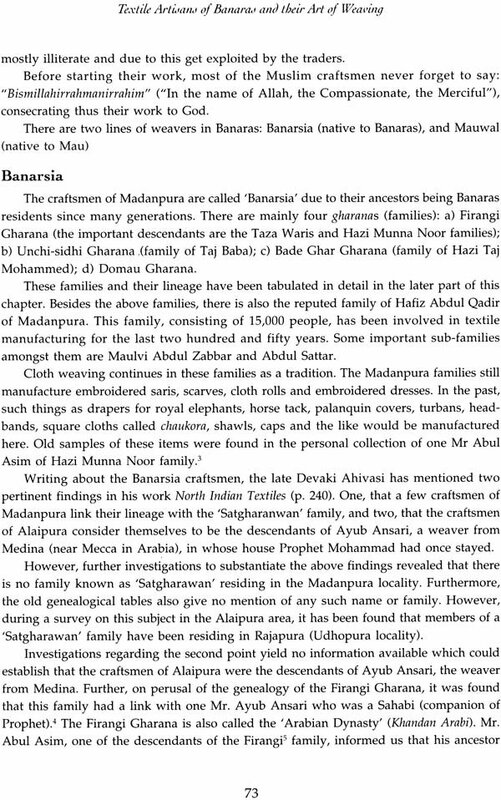 There are ample references in ancient literary works like avandan Kalpalata Baveru Jataka Mahajanaka jataka and Kutavanija Jataka wherein works traders from Banaras traded their goods inland and outside the country. 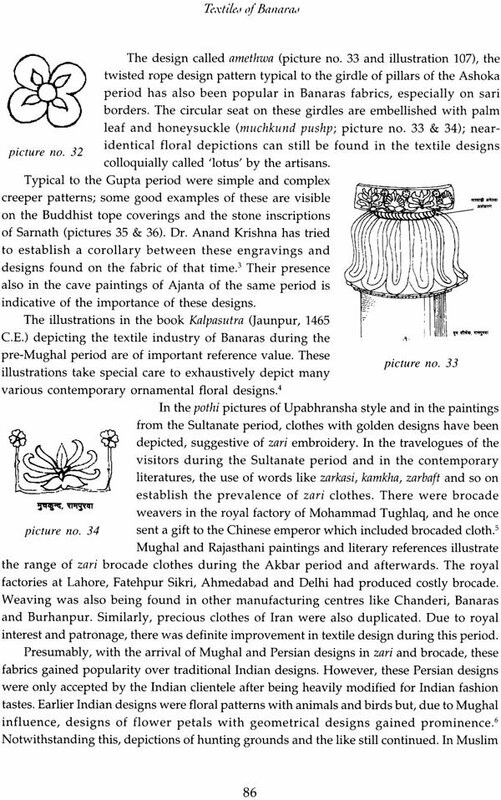 Jatakas also established the existence of a well developed artisan work in the fields of ivory yashabha and metallurgy as well as the kashi textile industry. 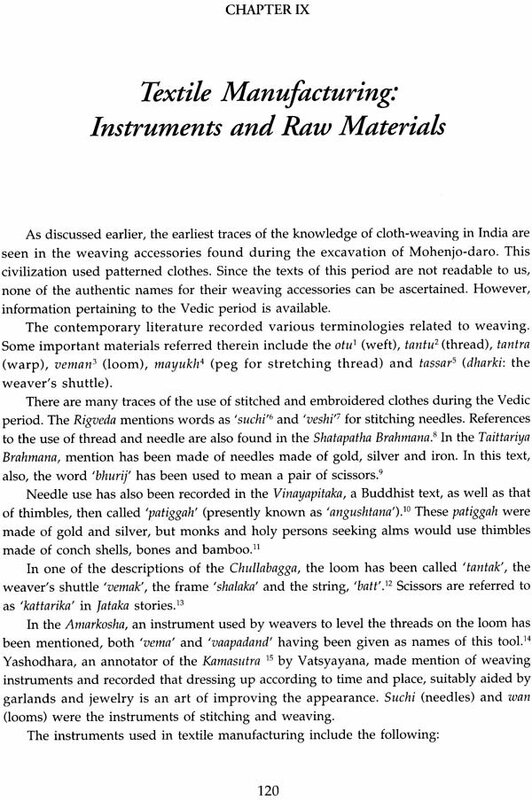 Similarly drama and music also made their contributions towards the cultural prominence of Kashi the evidence to this effect can be derived from the inscriptions found in Jogimara caves and theatres of Sarguja district of Madhya Pradesh. 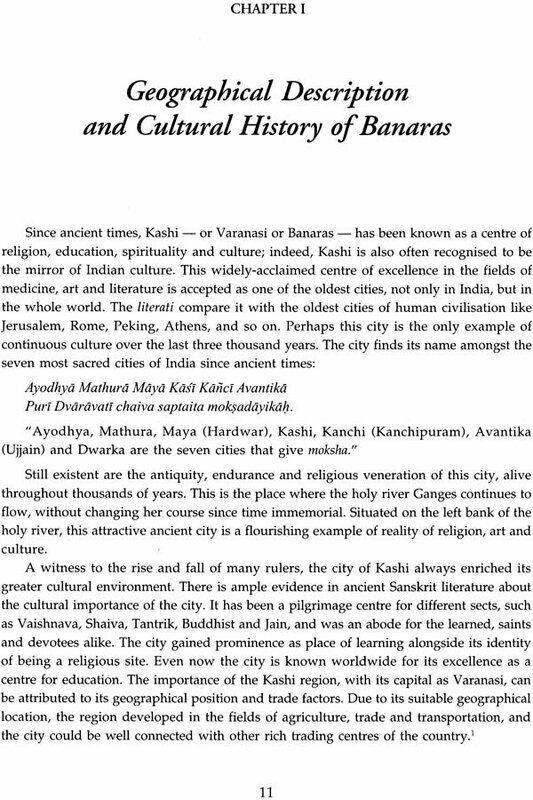 Sutanaka the famous devadasis dramatic and musical exponent also belonged to Kashi. 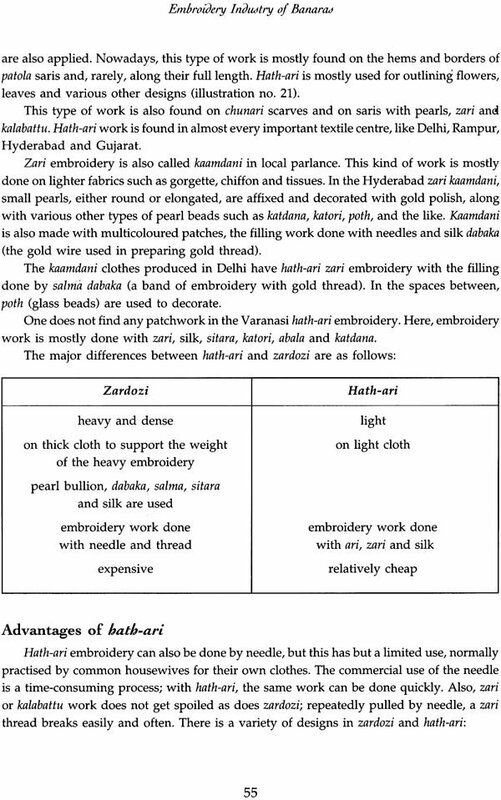 The textile industry has played a significant role in the glorification of Kashi Preserved in various national and international museums as well as in many references found in literature and archaeological substantiations bear testimony to this fact. 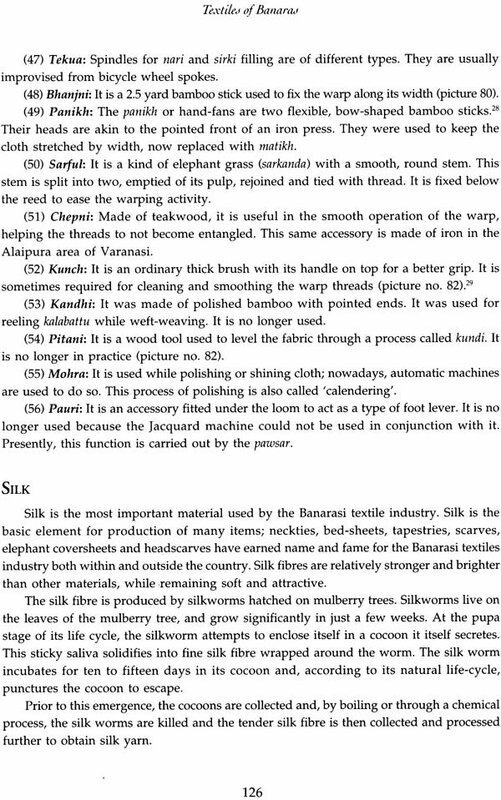 The rich eulogy by foreign travelers in their travel writings also established the supremacy of the textiles of Banaras Mr. E.D.G Prime an American traveler who visited Banaras in the mid 19th century writes they are rich the exquisite beyond description and as costly as they are beautiful. 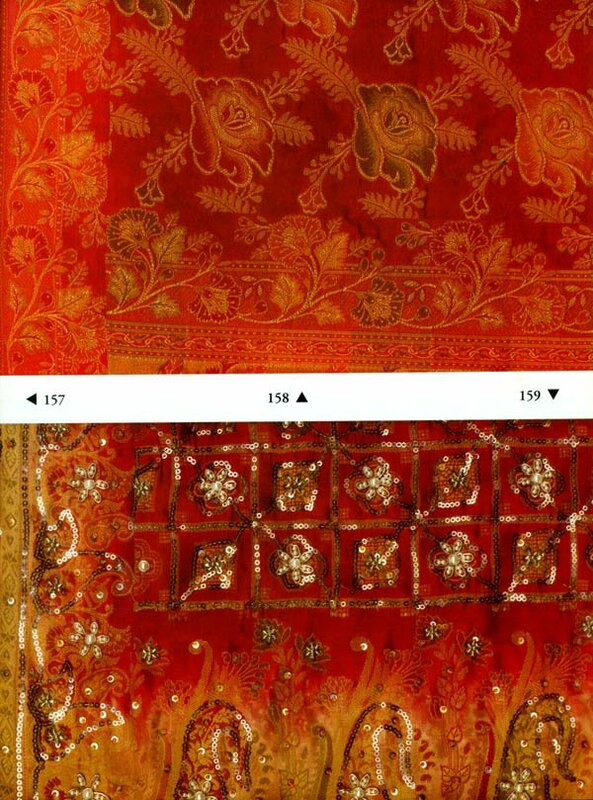 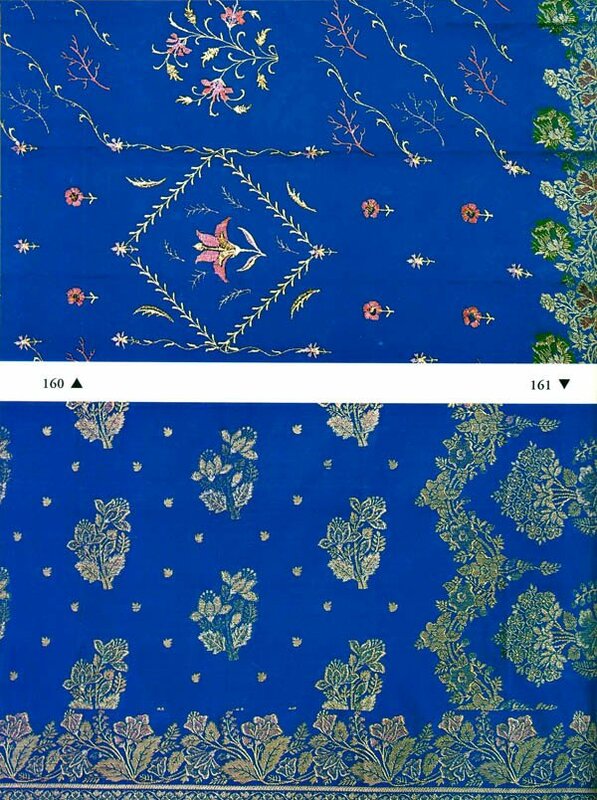 As the merchants took them out of their shop and displayed them to us we could almost imagine that the Mughal Dynasty in all its gorgeous splendor was to be re-established we could imagine how otherwise there could be a demand for such fabrics. 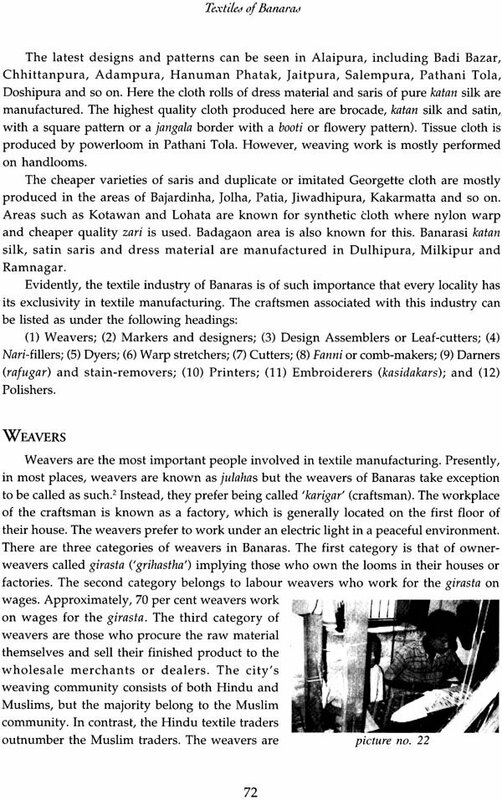 Therefore it is easy to state that the fame and distribution of the Banarasi textile industry had a reach beyond the boundaries of the country and even now it is the prime source of earning livelihood for lakhs of people associated with this trade. 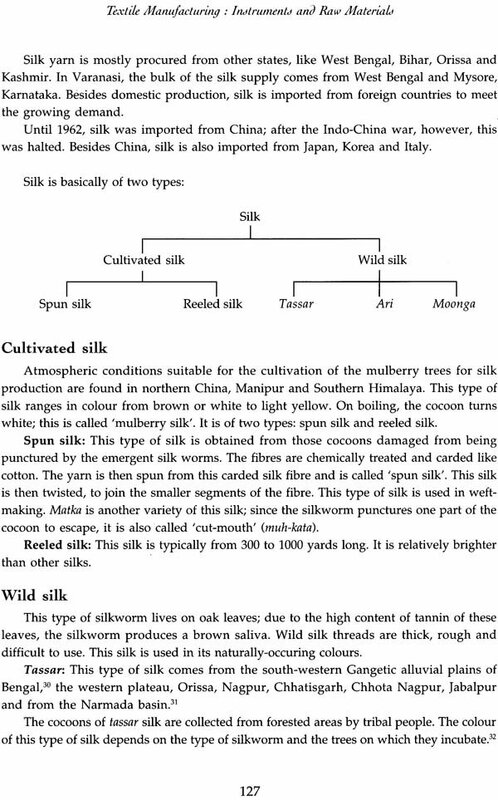 This industry has also served a necessary means for the fulfillment of the economic needs of the region. 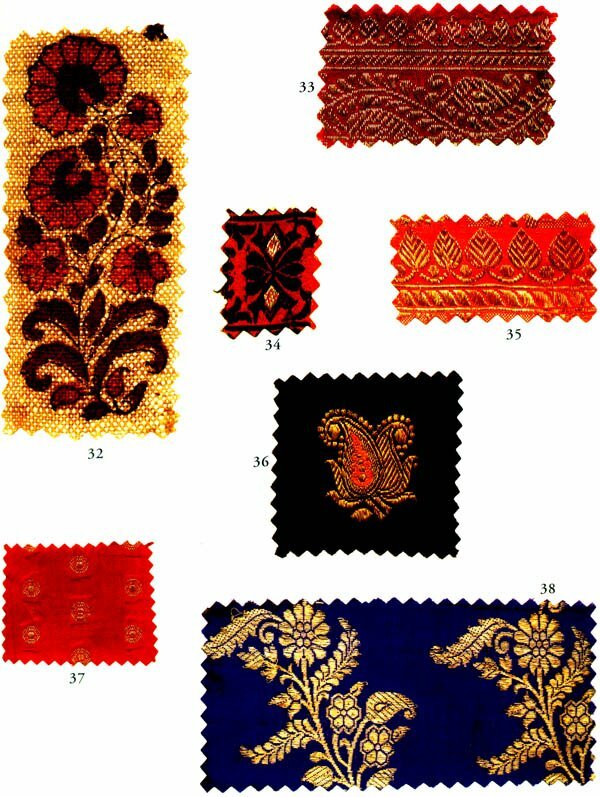 The artistic and glamorous textile industry symbolizes economic prosperity as well as links with the great traditions of textile manufacturing. 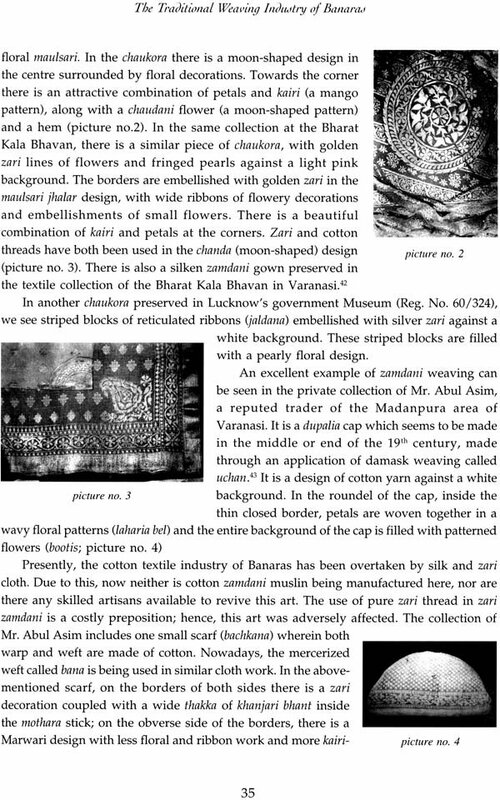 An endeavor has been made through this book to highlight the rich cultural and artistic tradition of Banaras examining the present state of the textile industry against the backdrop of this city’s cultural growth. 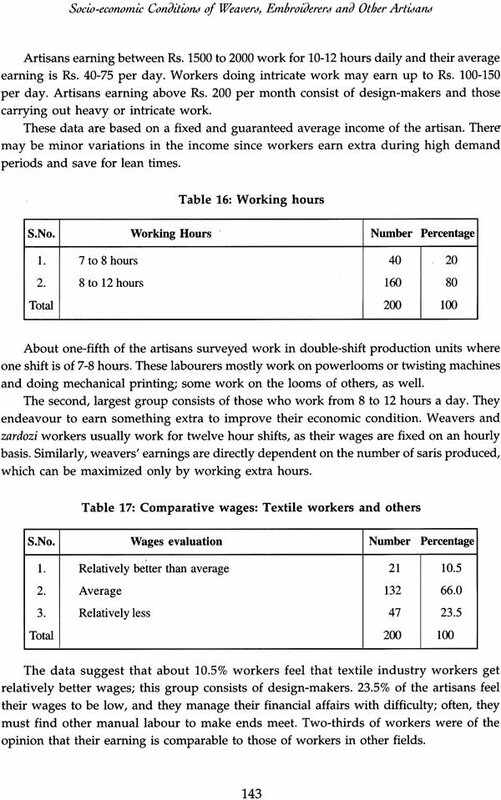 During the initial stages of this research work an effort was made to apply sociological methods to collect collate and analyze various aspects of the textile industry. 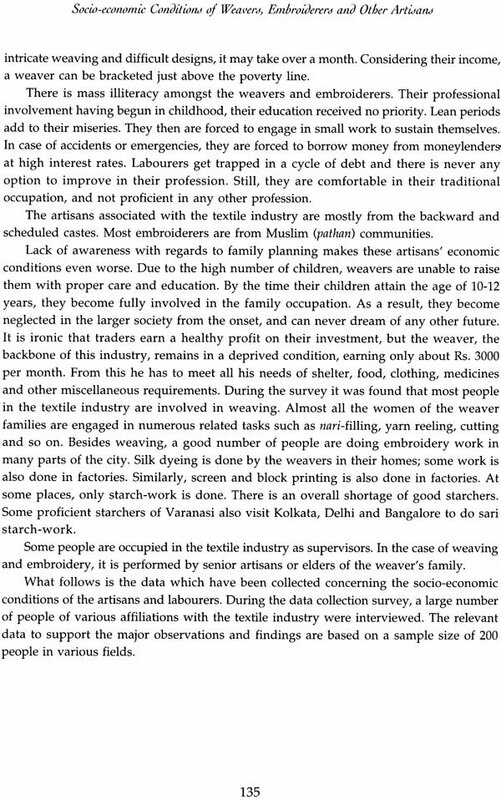 This included visiting the industrial areas interacting with traders’ weavers’ artisans and scores of other people associated with this trade. 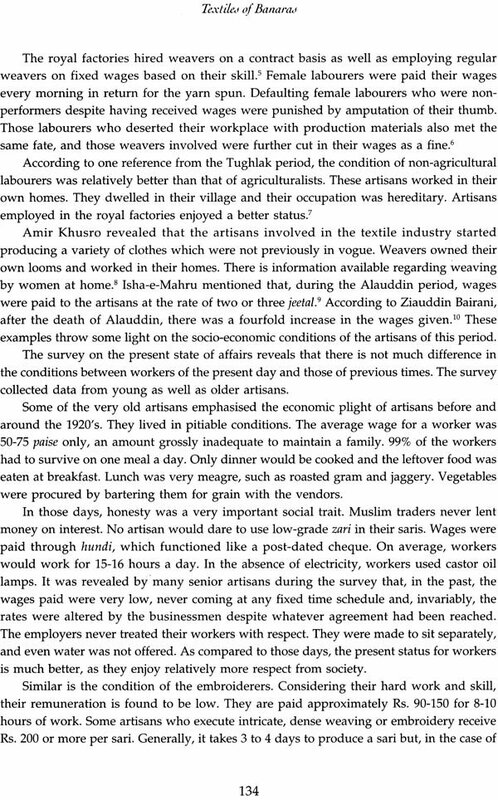 A set of questionnaires was issued to the target population and their answers were analyzed in detail. 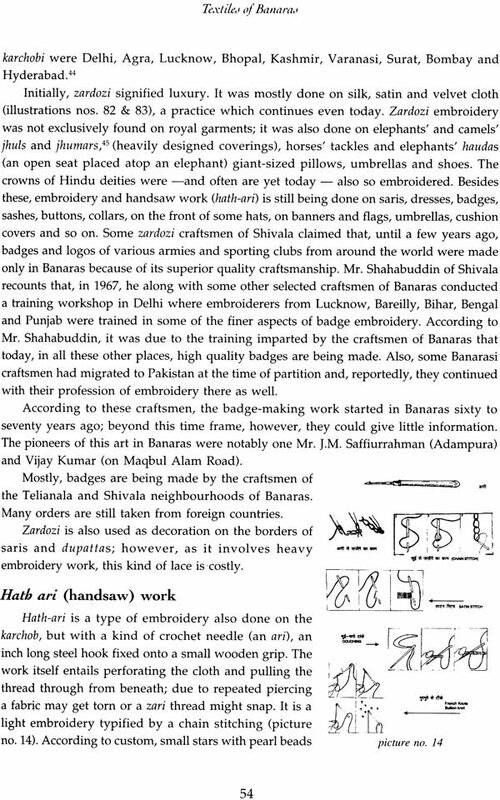 The method of date collection and methodology adopted had its focus on details such as name addresses age, caste, size of the family educational background existing standard of living and the monthly income of the traders and artisans. 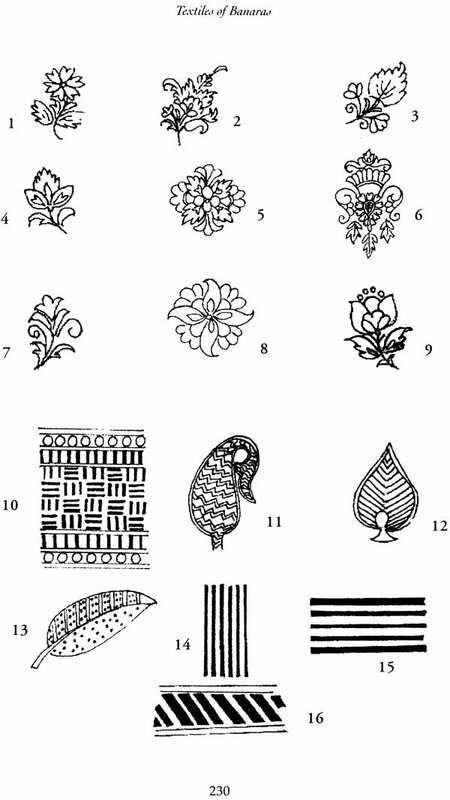 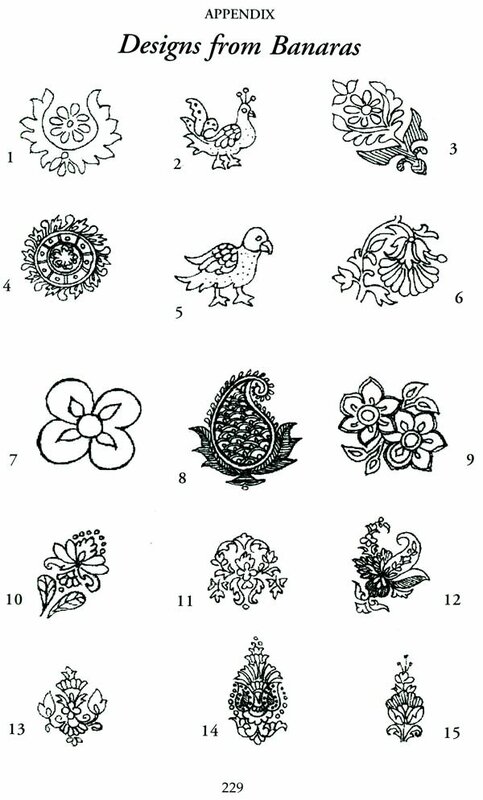 Details were obtained with references to tools and techniques of weaving their availability contemporary designing criteria for their selection weaving and embroidery techniques and so on. 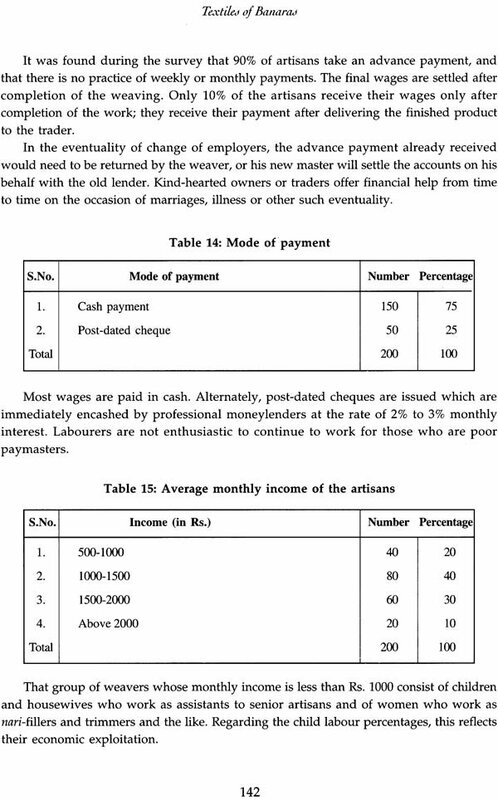 Due care was given to ascertain the social economic conditions of the weavers and artisans.